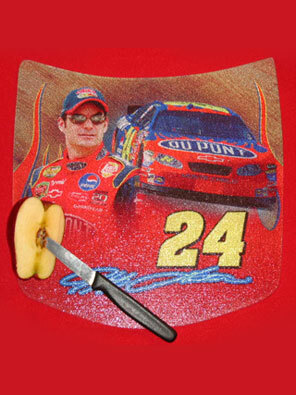 Cutting board shaped like the hood of a race car with NASCAR driver's names and numbers. Tempered glass with sublimation images. Approximately 11 ½ tall x 12  wide.